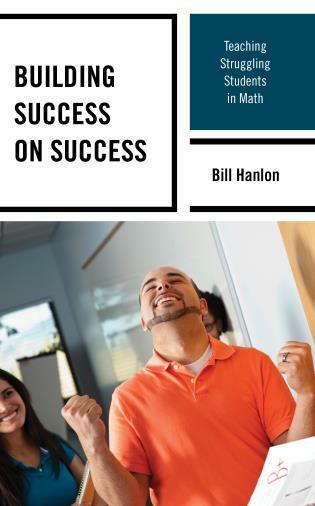 In Teaching Struggling Students in Mathematics, Too Many Grades of D or F, Bill Hanlon provides examples and recommends highly effective and practical instructional and assessment strategies that classroom teachers can immediately implement and that school administrators can readily observe. These high yield strategies build on accepted practices and directly address the needs of struggling students. His no nonsense, common sense approach assists classroom teachers in organizing their instruction by connecting preparation and instruction to student notes, homework, test preparation, and assessments so students study more effectively. This results in increased student performance. Bill also emphasizes the importance of student-teacher relationships and the implementing a success-on-success model. His emphasis on making students more comfortable in their knowledge, understanding, and application of math is demonstrated repeatedly with examples of how to introduce new concepts and skills by linking them to previously learned math and outside experiences. These linkages allow teachers another opportunity to review and reinforce skills or address student deficiencies. Teaching Struggling Students in Mathematics will help your students succeed in math.